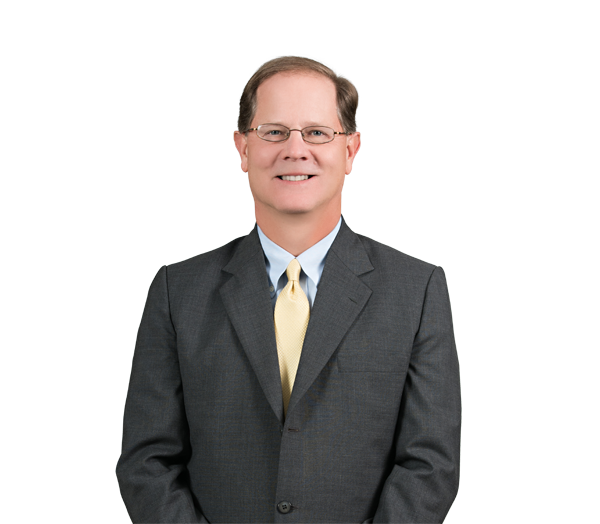 Blaine Sanders' litigation practice includes commercial, real estate development, intellectual property, employment, and sports and entertainment law, along with asbestos products liability. He has more than 30 years of experience in resolving disputes concerning complex commercial and real estate contracts, either by avoiding or through litigation. Blaine's sports and entertainment work primarily involves representation of NASCAR owners and drivers in a variety of disputes. Concerning products liability, he served on the team that tried In re Garlock Sealing Techs., LLC, 504 B.R. 71 (W.D.N.C. Bankr. 2014) on behalf of the debtor, which manufactured products containing asbestos. Blaine currently serves as outside general counsel to Alexander Youth Network, which treats children with serious emotional and behavioral problems. He was formerly the associate general counsel of United Dominion Industries. Represents manufacturer in defense of mass tort claims in bankruptcy, including adversary proceedings brought against asbestos plaintiffs' law firms. Procured multimillion-dollar arbitration award for regional convenience store chain in supply agreement dispute with global oil company. Favorably resolved contract claims during trial against real estate developer arising out of sale of regional mall (tort claims were previously dismissed at summary judgment). Represented Formula One team in hearing before the World Motor Sport Council against the Federation International de I'Automobile. Obtained preliminary injunction against national retailer that had attempted to terminate anchor lease with real estate developer based upon signage issue. Represented a global power equipment manufacturer in favorable resolution of litigation concerning alleged national supply agreement with major home improvement retailer. Represented an international aerospace manufacturer concerning multimillion-dollar settlement of assorted claims arising out of major asset acquisition. Secured summary judgment on behalf of NASCAR Sprint Cup team against claims of trade secret misappropriation. Represented a NASCAR Sprint Cup race driver in defeating former race team's effort to enjoin driver from competing on behalf of current race team. Defended a national insurance wholesaler in trademark action and prevailing in jurisdictional dispute, ultimately resolving case on merits. Successfully resolved multimillion-dollar life insurance policy dispute arising out of corporate transaction.